Ayurveda is a holistic approach to health that is designed to help people live long, healthy, and well-balanced lives. The term Ayurveda is a Sanskrit word, where Ayu, means life or lifespan, and Veda means knowledge; literally Ayurveda means “Knowledge of Life”. The earliest references of Ayurveda medicine in Sri Lanka are associated with a great physician; Ravana. (prehistoric time). Ramayana mentions that he represented Sri Lanka at a medical conference at Himalaya. King Ravana was the author of the following medicine books of Ayurveda. Arkaprakasya, Nadivignanaya, Kumarathanthraya and Udishathanthraya. Pulasthi Rishi, the son of the Emperor Tharaka and father of the Emperor Rawana lived about 4400 years ago in Sri Lanka. He is known to have been a skilled physician. Historical Indian Ayurveda texts mention that Pulasthi Rishi participated in the 1st conference of Rishis (seekers of knowledge) held in the Himalaya Kingdom (India) and that he was from Sri Lanka. Sri Lanka has a wide range of medicinal plants. Among them some are endemic to the country. The majority of the plants used are the same as those used in India. Ritigala and Rumassala are believed to be fragments of a part of Himalayas that were carried over to Sri Lanka by the mythical monkey King Hanuman of King Rama. Evidence from prehistoric sites such as Anuradhapura, Polonnaruwa, Madirigiriya etc. reveals ancient practices of Ayurveda across the country. 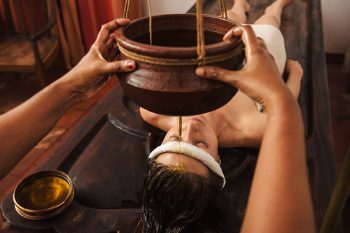 Ayurveda is considered to have been formally handed over to Sri Lanka during the 3rd century BC with the introduction of Buddhism from North India during the period of King Devanampiyatissa (247-207 BC). 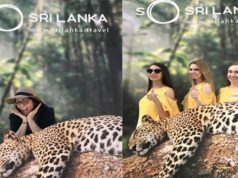 Since then it has merged with the indigenous system of medicine that prevailed in Sri Lanka, and has been enhanced, practiced and preserved in an unbroken tradition up to today. Historical records reveals the exchange of information on Ayurveda between India and Sri Lanka long before its formal introduction. 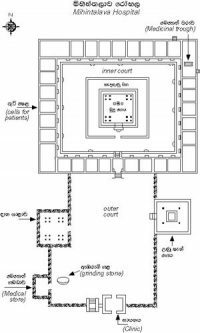 The ancient remains of Mihintala is believed the oldest hospital in the world. The ruins of the present hospital is attributed to King Sena II (853-887 AD). But it is believed that there was a hospital at Mihintale long before this building. 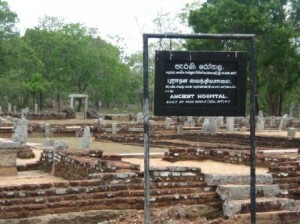 There are ruins of hospitals in ritigala, Madirigiriya and Alahana in Polonnaruwa as well. As a reference to the Mahavamsa and Chulavamsa many of the ancient kings have dedicated their services to the development of Ayurveda medicine in Sri Lanka. Examples of such practices are King Pandukabhaya (4th Century BC), King Sena (851-885 AD), King Buddhadasa (362-409 AD), King Datusena (460-478 AD) etc. As such ancient Ayurveda evidence show that Sri Lanka has inherited a glorious history of indigenous medicine in the country. After the late part of 16th century due to foreign invasions downfall of Ayurveda started due to foreign invasions. After independence Ayurveda started developing and continues to be practiced as a traditional process, with medical institutional education, as well as through family inheritance. Today there are two Ayurveda universities which produces Ayurveda doctors who serve in government hospitals, private institutions, Ayurveda hotels and Spas. Ayurveda” is not only a form of medication – it is a way of life known to generations for over 3000 years. Ayurveda provides a comprehensive management plan for various illnesses, as well as for promotion of healthy lifestyle. They proposed sustainable healing solutions for multitudinous sufferings of physical, mental and social existence of a person. Ayurveda widely explains about prevention of diseases. It explains how to plan our day according to ayurveda, and that will help preventing from diseases. For example in daily routines it is explained that everybody should wake up early in the morning before sun rise. (Brahma muhurtha), then drinking warm water, attending natures calls, brushing teeth using natural herbal sticks, meditation, exercises, oil massage, bathing, and so on. Each and every action is explained clearly and as these change according to the person and their conditions contra indications are also explained very clearly. Ayurveda explains about body types, that we all are different and all the treatments or advises should be individualised. Hense the treatments will be very effective. 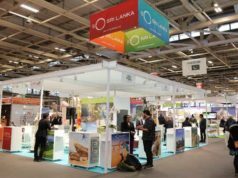 With the rise of Global wellness economy, demand for Ayurveda from foreign tourists have been increased. Today most of the hotels provide Ayurveda treatments in hotel spas. Ayurveda has become a proficient healing service provider that can satisfactorily meet the demands of the modern wellness conscious consumer. Conditions such as cardiovascular diseases (mostly heart attack and stroke), diabetes, obesity, cancer, and respiratory diseases accounted for almost 60% of the 57 million deaths annually and 46% of the global burden of diseases. As conventional medicines fails to cure non-communicable diseases, such as diabetes, arthritis, obesity, cancer etc, wellness conscious people and tourists definitely get positive results through Ayurveda. With age typically comes decreasing physical health and mounting medical costs. Ayurveda introduces an anti-aging treatment called Rasayana. It provides a range of effective treatment for age related problems. As Ayurveda is a philosophy, it also explains the questions that elders face such as seeking a meaning of life, how to live with diseases etc. Hence it promotes physical and mental well-being to the aged population. The State Ayurveda Drugs Corporation is the pioneer of manufacturing and marketing of Ayurvedic Drugs to the government hospitals, Ayurvedic physicians and private sector has been playing the major role in health sector in Sri Lanka for more than 48 years. 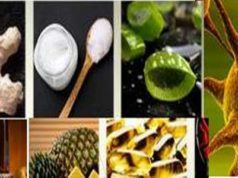 As a policy, the Corporation is mainly focused on quality of medicines and service to the general public rather than operating as a business entity.It produces more than 140 ayurveda medicines including range of rejuvanating medicines as Ranahansa rasayanays, herbal wines, pills, decoctions etc according to traditional recipes. Dr.Pushpika Attanayake, medical officer attached to the state Ayurvedic Drugs Corporation is a well known expert in Ayurvedic medical treatment. Her qualifications and the experience show the expertise. 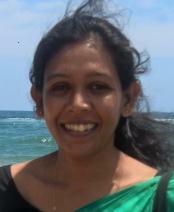 She possess linking to Ayurveda among her qualification are BAMS (Hons) University of Colombo, PGDYN (Gujarath Ayurveda university-Jamnagar), PGDBM(University of Colombo), MA(University of Kelaniya) and her experience regarding Ayurvedic treatment rests with the service she performed at Tangerine Beach hotel, Fortress Resort and Spa, Anantara Kalutara Resort, she has the experience in working at the Royal Ayurveda at Dubai Health care city as well.